For much of last year, the city's plans for the move to the Intermodal Center were plagued by chaos and contradiction. Internally, city officials last year repeatedly stressed the importance of providing clarity as to what would happen with the Intermodal Center and the downtown police precinct located in the Peyton building near the STA Plaza. Instead, confusion and contradiction reigned into the fall, frustrating city leadership, Spokane Transit Authority staff and the Downtown Spokane Partnership. Crucial questions involving contracts and partnerships went unanswered amid the fallout from the Sept. 22 ouster of the police chief. City officials have claimed that, since at least March of 2015, the plan had been to completely transfer the downtown precinct officers from Peyton building to the Intermodal Center. The move finally took place in December. "My understanding was the plan was always to vacate the Peyton [Building] and move to the Intermodal [Center]," Public Works Division Director Scott Simmons told the Inlander earlier this year. "In my mind, we were not doing both." We've reported on the problems with this statement before. But now, a trove of records, recently obtained in response to requests from the Inlander and City Council President Ben Stuckart, reveal that police officials were told the city was going in a radically different direction as late as September. During this time period, Downtown Spokane Partnership President Mark Richard was fervently raising concerns about the status of the plaza location if the downtown precinct moved. Yet a Sept. 8 email from then-Asst. Chief Rick Dobrow to South Precinct Capt. Dave Richards, says that the downtown precinct wouldn't be moving, but the South Precinct would. "The Intermodal is not large enough to move [Downtown precinct Capt. Brad Arleth's] operation, so the decision has been made to relocate you and your group there," Dobrow wrote. "I know this isn’t the best location for a south precinct, but I have every confidence that you will make it work... Sorry to drop this on you so suddenly, but things changed in just the week I was gone." "I guess you don’t have to move there after all!" Richards wrote to Arleth in an e-mail. Richards emailed the city's asset management department with a list of the South Precinct officers who would supposedly be moving to the Intermodal Center. "Judy, why are we getting names for a precinct that doesn’t exist yet over one that does at Intermodal?" City Asset Management Director Ed Lukas wrote. "Typo?" 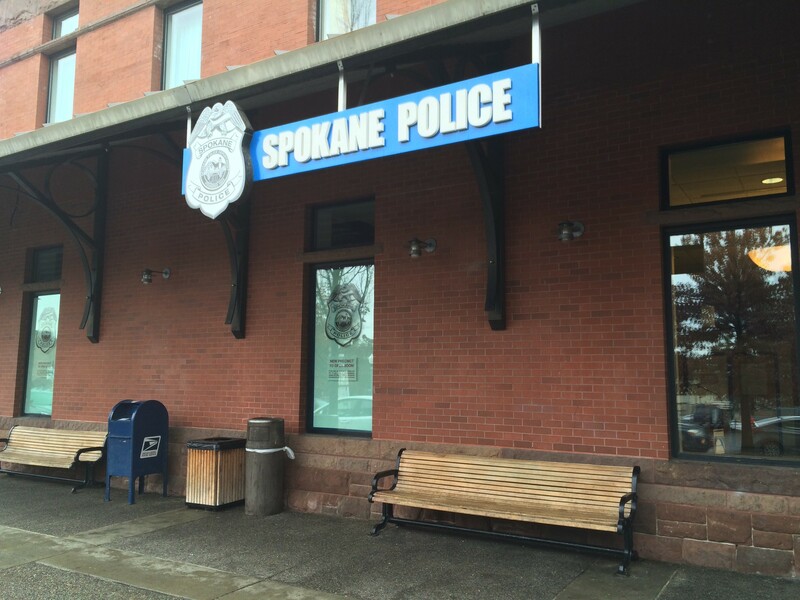 "Apparently, the guys who were allocated to go to the South Precinct, who are currently operating out of the church, are in the interim going to be located at Intermodal," Knight responded. This was a radical change from what had previously discussed as the plan. In a June 24 email to IT and asset management, Assistant Chief Selby Smith stressed that the plan was to keep some downtown officers at the facility near the Plaza, but move most to the Intermodal Center. "We are not abandoning that building we are moving those folks out to Intermodal and moving others in," Smith says. "The downtown plaza office will house approximately 10 officers after we move the current ones to Intermodal." Confusion continued to persist, even as those involved stressed how crucial it was to figure out a clear plan. "I do not know the game plan for the STA plaza location or when the Mayor plans to make an announcement on Intermodal," Asset Management's Lukas wrote in a July 31 email to city officials, including Straub and City Spokesman Brian Coddington. "Any discussions regarding the current location next to the STA plaza?" Lukas asked in another email the same day. "Is the Mayor's office planning an announcement soon re: the intermodal? If yes, it will be important to discuss the existing downtown precinct and the south precinct. These will all be questions raised by the press." "I just spoke with the Chief and SPD has a meeting with the Major’s office next week regarding precincts and facilities," Deputy Director of Strategic Initiatives Sarah Lynds wrote on August 12. "The Chief would like to put the installation and all work in the intermodal on hold until that discussion can take place. " Lynds expressed her confusion to Tim Schwering, director of strategic initiatives. "Where do you think this is going to go?" Lynds wrote. "This is will be an explosion over at City Hall!!" A few weeks later, Police Chief Frank Straub suggested downtown. "Are we pursuing either of the buildings at 26075 Southwest Blvd. for the south precinct?" Straub wrote in an August 21 email to city officials, including Mayor David Condon. "If not, we will move south police service area personnel into the intermodal and redraw south and downtown boundaries." But Sanders indicated the city should stick with the original direction. "Get current phase of downtown precinct (intermodal) open and operational," City Administrator Theresa Sanders wrote on Sept. 2. "Need to work with [City Spokesman] Brian Coddington on timing and messaging, particularly as it relates to potential impact(s) of other downtown precinct assets." Straub went on vacation mid-way into September, and after he returned, he was swiftly ousted from his position as police chief. Late into October, civic leaders still didn't know what was going to happen to the Plaza building. "We need some certainty on this soon," STA Operations Director Steve Blaska wrote in an October 16 email about questions concerning the STA's contract to provide an officer with the police department. "I am also trying to be clear I have asked and re-asked SPD admin for some movement on both DSP Peyton downtown precinct plans as well as STA contract," Capt. Arleth wrote in an Oct. 20 email to DSP's Richard and Blaska. "Unfortunately, I am getting the same non-response as both you are. I also want to continue the presence and the lease at the Peyton." When Capt. Arleth finally moved into the Intermodal Center in December, that triggered a whole different set of conflicts — and resulted in him being accused of insubordination. Everything the Inlander has learned in the last five months has further revealed just how vast the gulf was between what the city communicated, and what it thought it had communicated.